Sometimes, after downloading or couriering a large multi-tile raster download, you might find it difficult to locate the specific tiles you are interested in for your project. This is particular the case when the data layer you have downloaded exceeds the file limits of your software. In this guide, we outline how to locate a specific tile using the index layer for that data layer. If your data layer contains an index layer, it will be provided in the description for your data layer. Click this link, if available. Click the point on the map which are you are interested in. A pop-up box will list the data values for each data layer associated with that point. 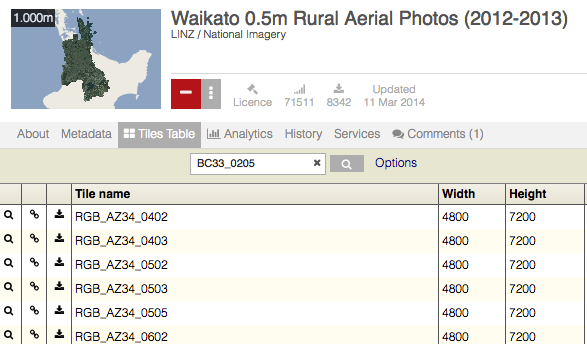 Select your added index layer to be provided with a range of information, including the tile reference number. 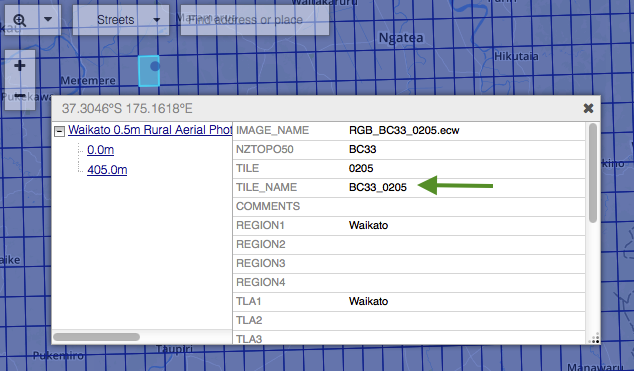 This will enable you to locate the tile(s) you wish to use. Magnifying glass. This zooms to your chosen tile on the map. Link. This enables you to easily share a URL of the tile with others. Download. This allows you to download the individual tile in a format of your choice.